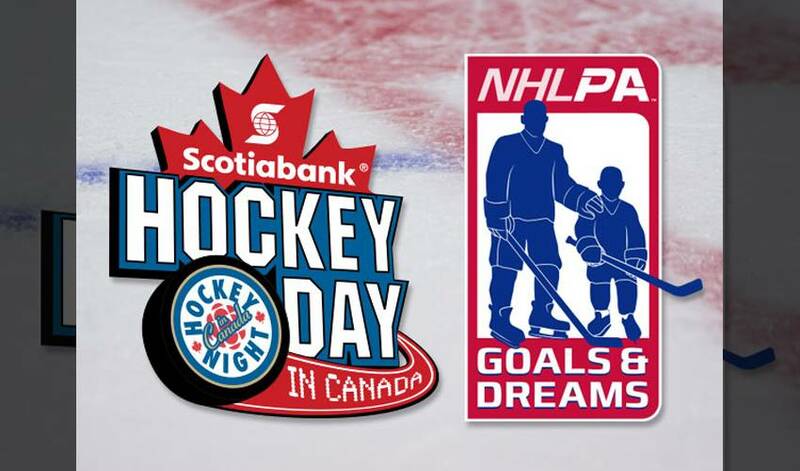 The NHLPA Goals & Dreams Fund got some coast-to-coast exposure in Canada this past weekend, as the program was highlighted as a part of the broadcast for ‘Hockey Day in Canada’, the CBC’s annual celebration of the game of hockey and the role it plays in Canadian culture. The segment features recently retired NHLPA member Wade Redden who speaks about the program and his personal experience of being a catalyst for a donation of 25 sets of equipment to his former minor hockey association, just outside of Lloydminster, Saskatchewan. The segment is hosted by Hockey Night in Canada personality, Ron MacLean, himself a long-time supporter of Goals & Dreams. The Players’ launched the NHLPA Goals & Dreams fund in 1999 as a way to give something back to the game they love. Since that time, the program has benefited more than 60,000 deserving children in 32 countries through donations of full sets of hockey equipment, as well as previously assisting with arena construction and maintenance upgrades. To date, NHLPA Goals & Dreams has donated more than $21-million to grassroots hockey programs around the world making it the largest program of its kind. For more information on NHLPA Goals & Dreams, please visit www.nhlpa.com/giving-back/goals-and-dreams.